AUSTIN, Texas, Dec. 12, 2011 /PRNewswire/ -- Adding to its growing portfolio of motor control solutions, Texas Instruments Incorporated (TI) (NYSE: TXN) today announced a new motor control kit for spinning three-phase brushless motors with a Stellaris® Cortex™-M3 microcontroller (MCU). The new DK-LM3S-DRV8312 motor control kit features a 32-bit Stellaris LM3S818 microcontroller and DRV8312 motor driver to spin sub-50V, 6.5A three-phase brushless DC (BLDC) motors in minutes. 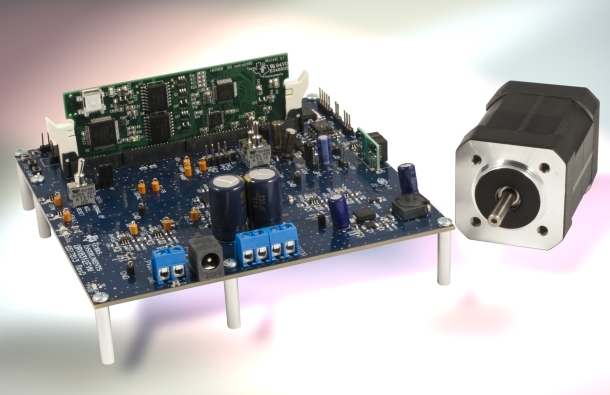 The easy-to-use kit is a low-cost solution for high-volume motor control applications, including low-voltage fans, blowers, pumps, tools and compressors. For more information, visit www.ti.com/stellaris-motor-pr-lp. The Stellaris LM3S818 controlCARD module included in the kit has the required firmware pre-programmed in flash memory to run TI's new InstaSPIN™-BLDC solution out-of-the-box, along with other customer-developed applications, when plugged into the DRV8312 motor driver base board. The InstaSPIN-BLDC solution is an innovative and free back-electromagnetic field (EMF) technique that spins any motor in seconds without knowledge of any motor parameters. Unlike traditional back-EMF zero crossing techniques, InstaSPIN-BLDC extends sensorless operation down to lower speeds and exhibits high immunity to miscommutation caused by rapid speed changes. Reliable motor start-up has been demonstrated over a wide range of conditions, including full torque. • Accelerate system design with intuitive graphical user interface (GUI) powered by third party Crosshairs Embedded. Customize the existing GUI or create your own with easy drag and drop development by downloading Crosshairs Interface Designer. Developers can get started immediately with the DK-LM3S-DRV8312 development kit for $299 USD at www.ti.com/stellaris-motor-pr-es. Those who have already purchased the DRV8312-C2-KIT, which includes the DRV8312 and C2000™ Piccolo™ MCU, can swap out the existing controlCARD with the Stellaris LM3S818 controlCARD module for $49 USD at www.ti.com/stellaris-motor-pr-es2.